When the Triathlon season is in full flow, the sun can offer some logistical difficulties. Not only can the glare stop you from being able to see properly but sweat dripping into your visual field isn't pleasant either. 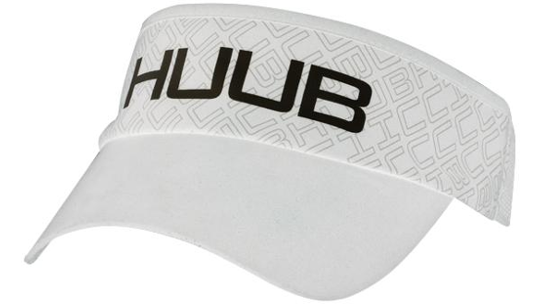 HUUB's Triathlon specific visor helps you to focus on what's important, your performance. A sweat absorbing material is placed at the front of the cap, preventing sweat passing down from your head onto your face and the headless design makes a fast fit easy, pivotal for swift transitions. Finally, the extended visor shape removes the suns glare from your eyes leaving you with an undisturbed field of vision.